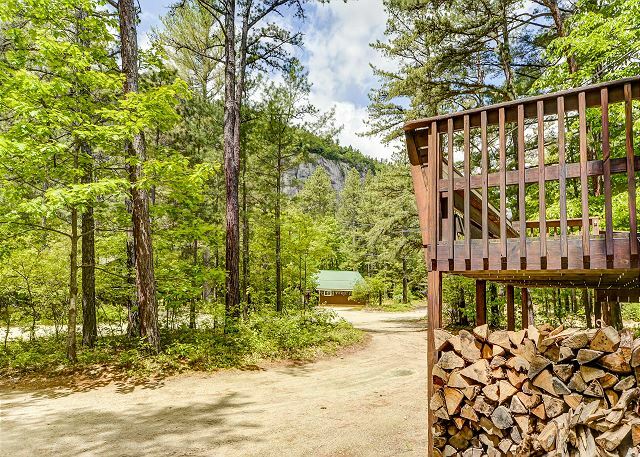 Cozy 2BR at the base of Cathedral Ledge - AC, Deck w/ Grill, Cable & WiFi! 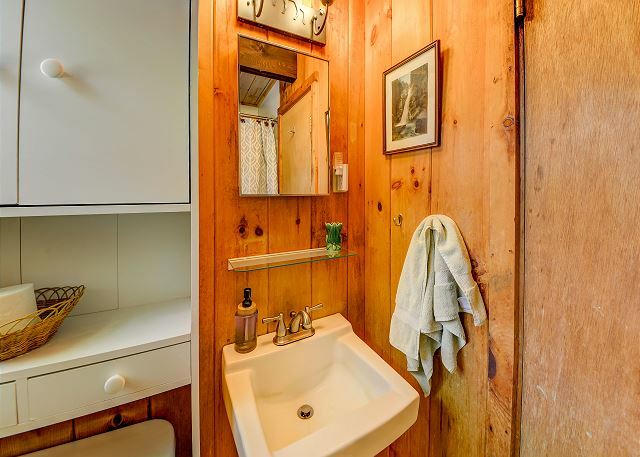 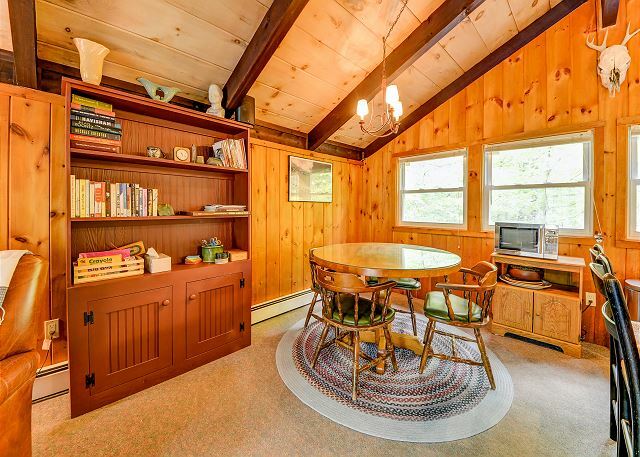 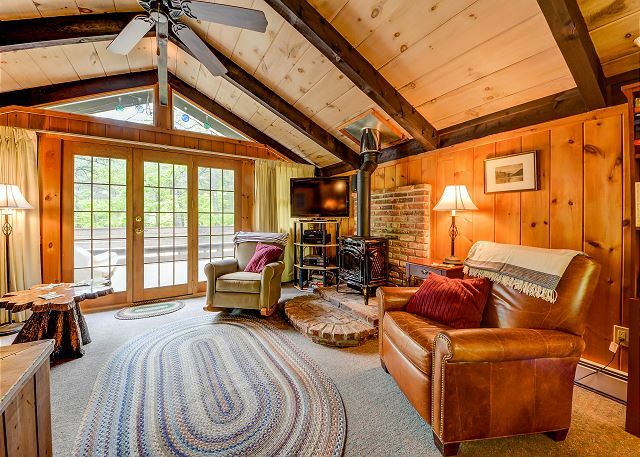 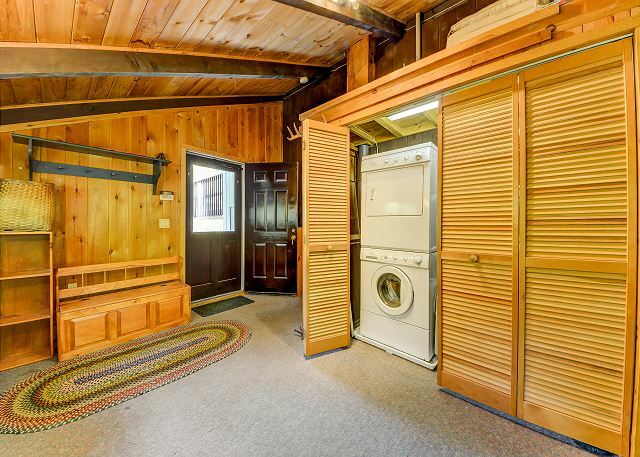 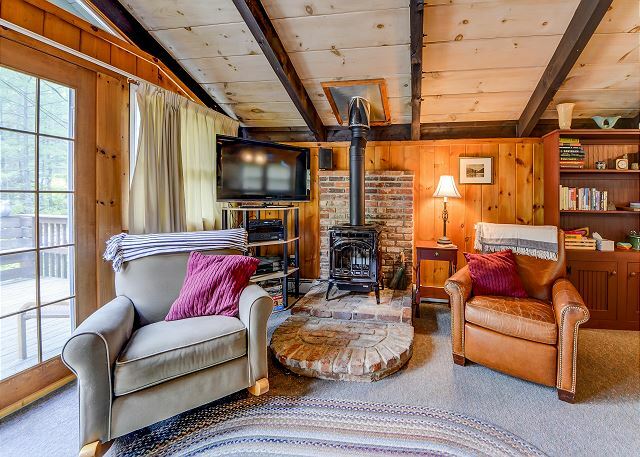 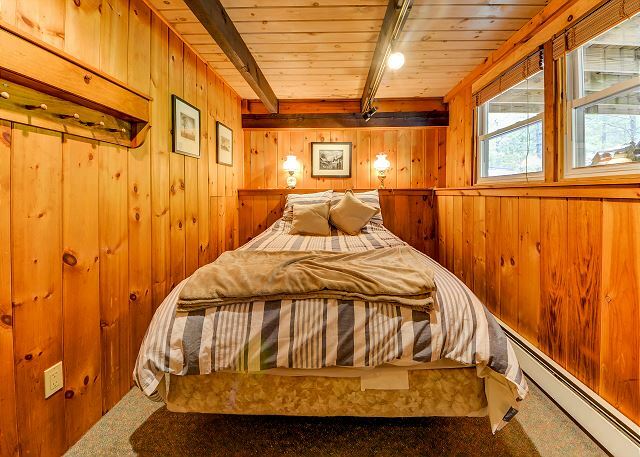 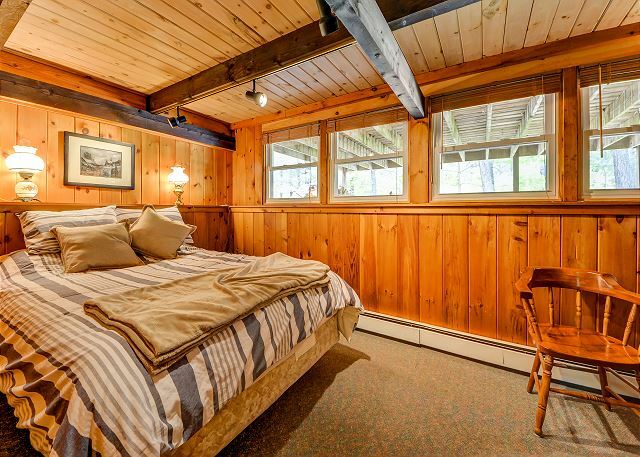 Cozy North Conway chalet in a perfect location at the base of Cathedral Ledge and just 1 minute to the shops and restaurants of North Conway village. 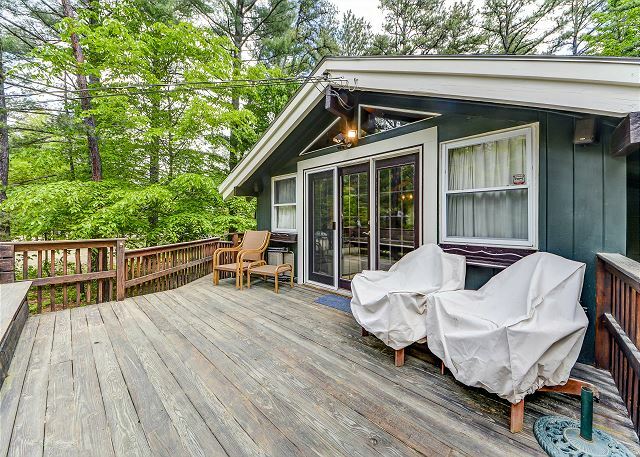 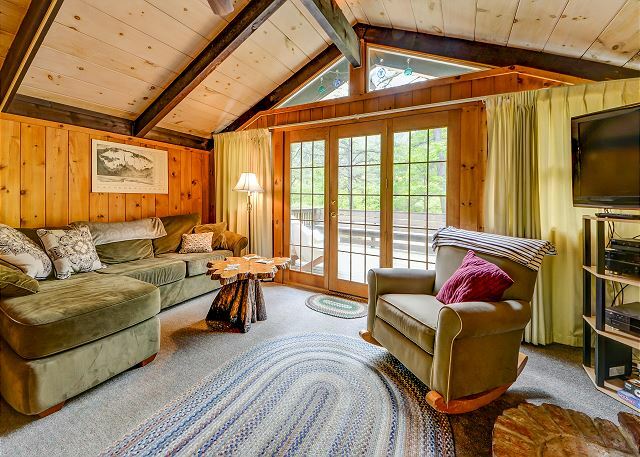 Walk to Echo Lake, hike right from your door or enjoy the mountain view from the deck! 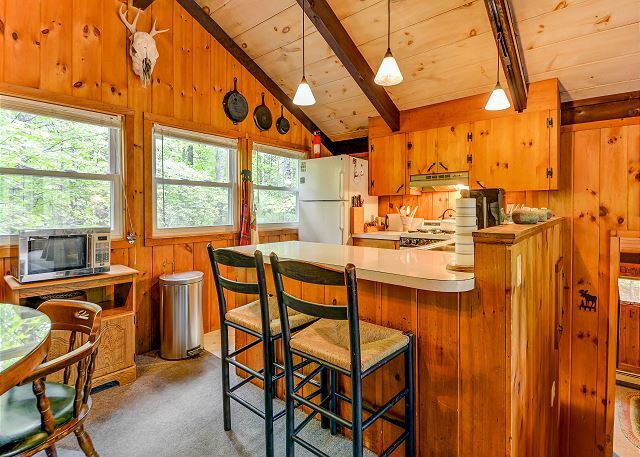 Wifi and AC. 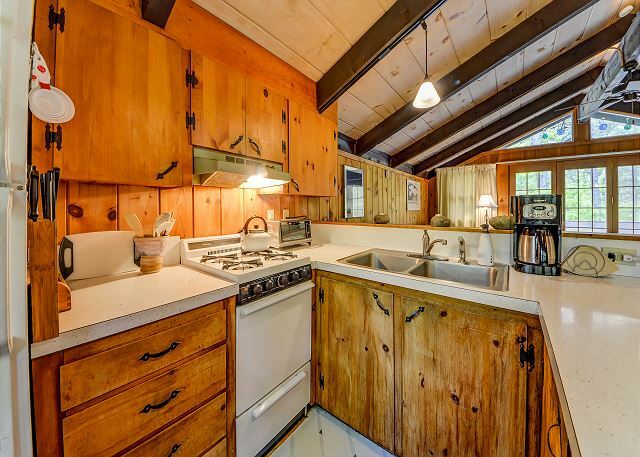 Upper level: open living/kitchen/dining area. 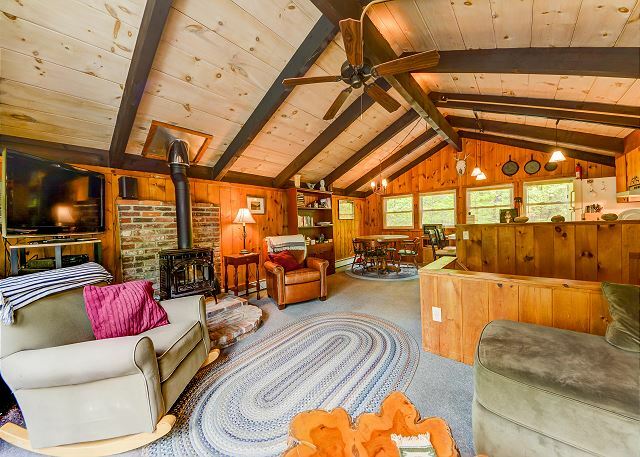 Living area has gas log stove, flatscreen TV, and sliders that open to the deck. 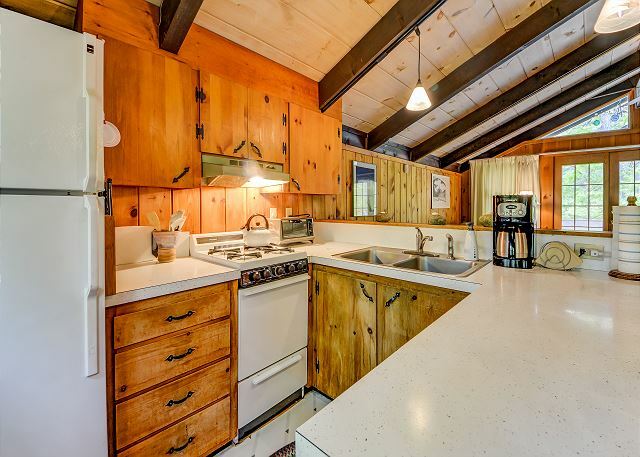 Open kitchen/dining area. 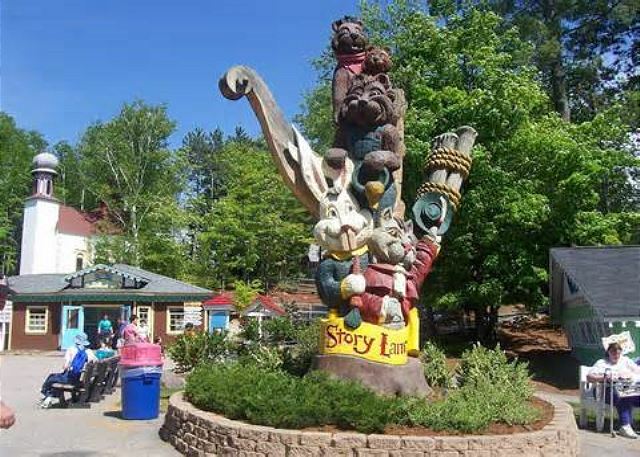 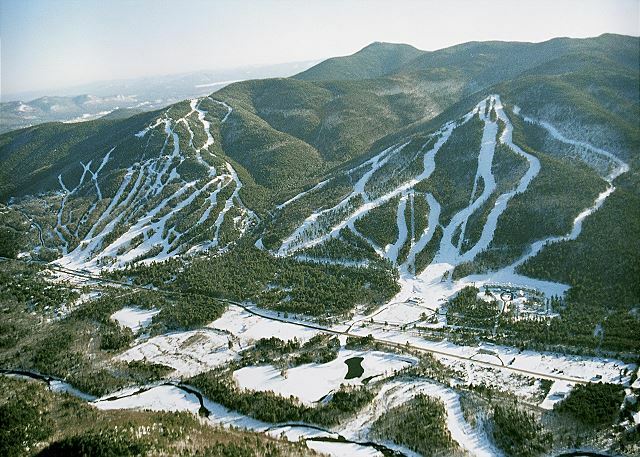 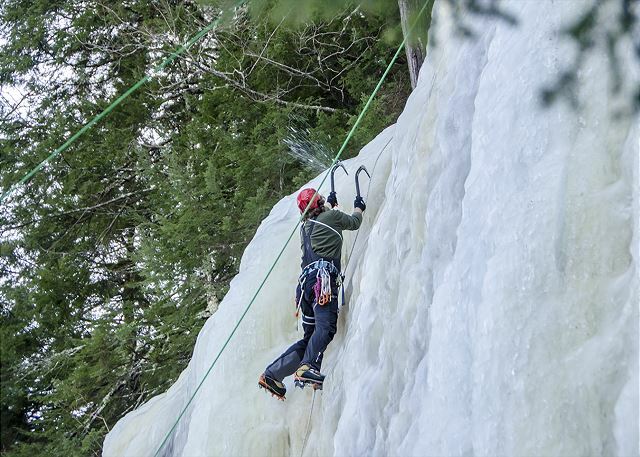 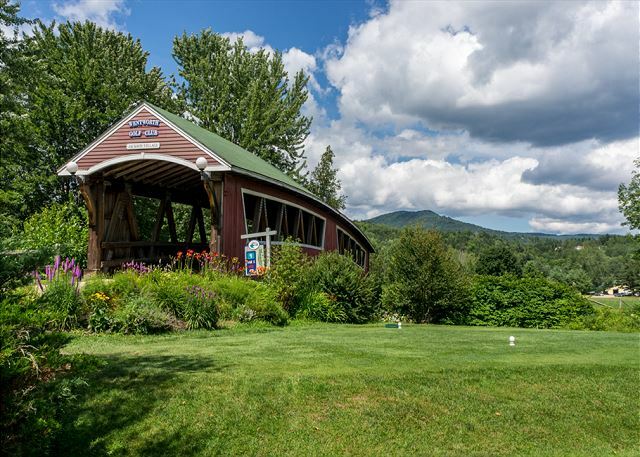 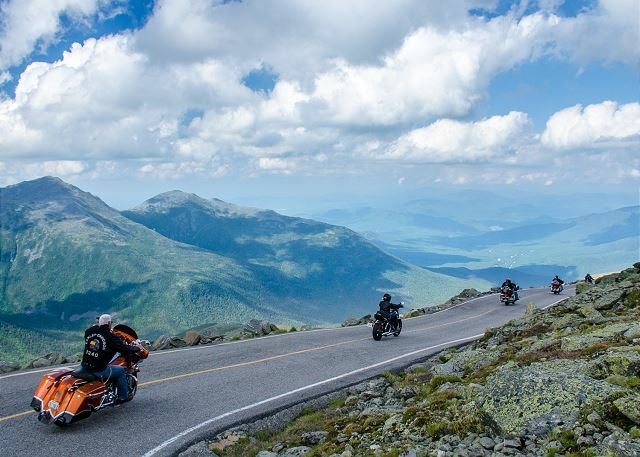 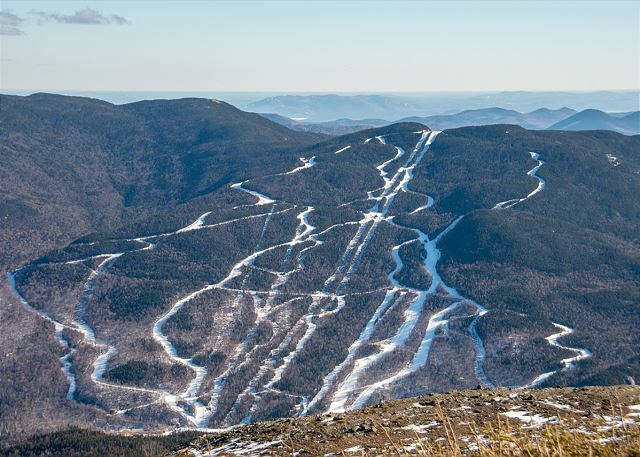 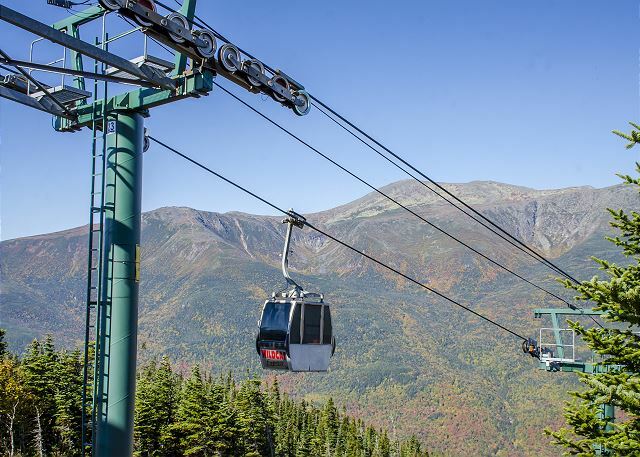 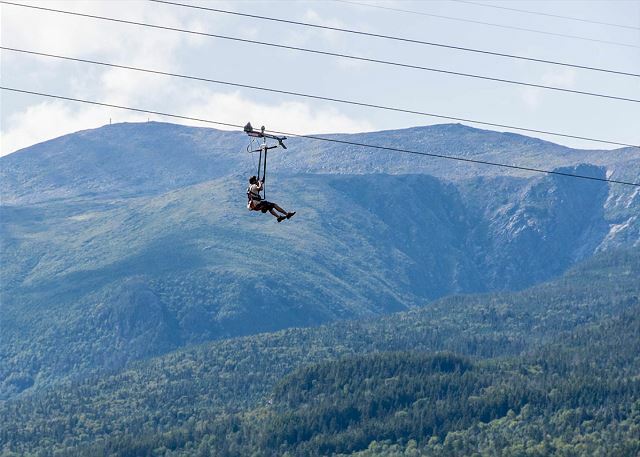 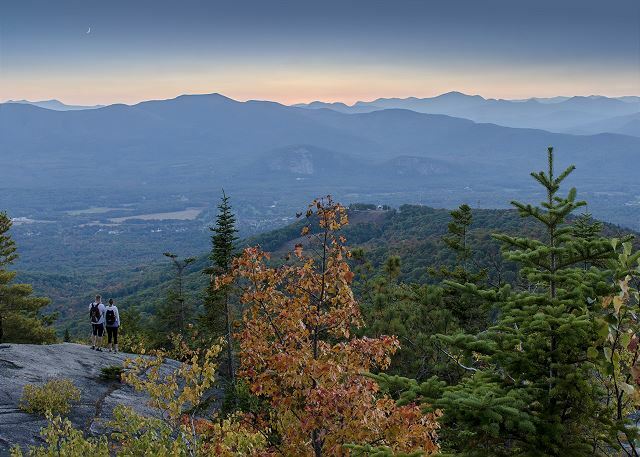 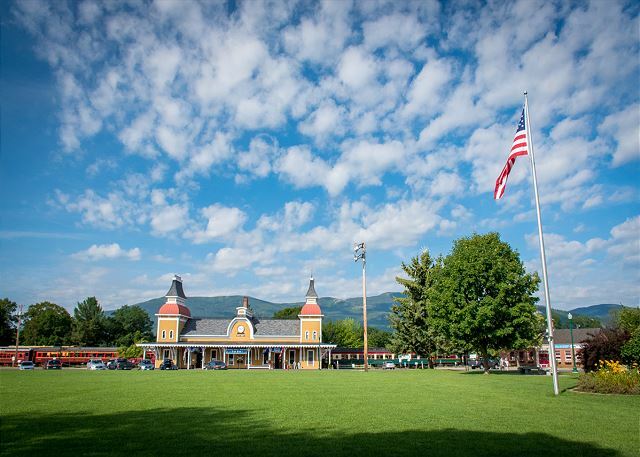 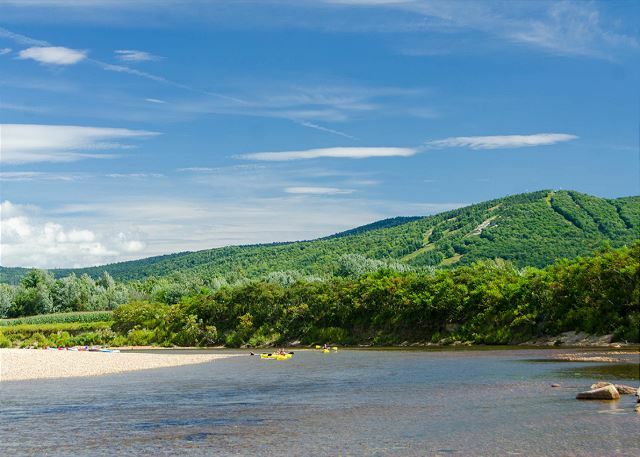 Nearby Attractions for all seasons: Storyland (6.9 miles), North Conway Scenic Railway, Santa’s Village (47.5 miles), Tax Free Outlet Shopping, horseback riding, hiking, rock climbing, biking, river fishing, swimming, golf, canoeing/kayaking, scenic drives, Mount Washington Auto Rd, moose tours, ziplines, gondola rides, sightseeing, the scenic Kancamagus Highway, downhill skiing at one of the many nearby mountains, cross country skiing, snowmobiling, snowshoeing, tubing, ice skating and sleigh rides.